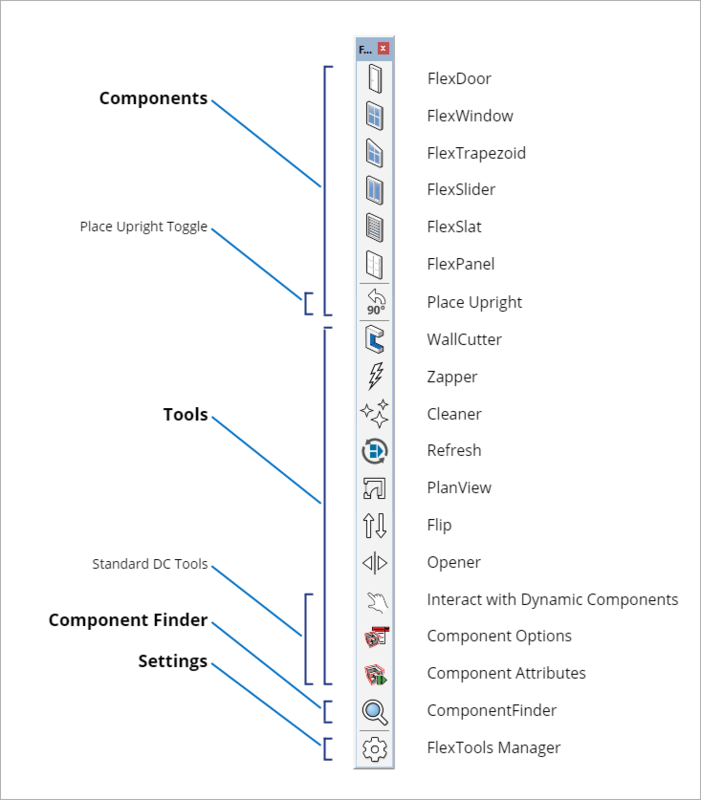 The FlexTools toolbar functions are grouped into a few sections: Components, Tools, ComponentFinder, Settings. The toolbar is dynamic. You may have more, or less buttons on it, depending on which products you have installed. 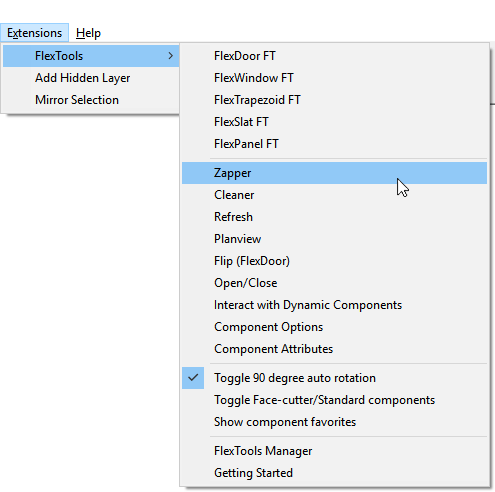 You can also choose to hide specific toolbar items through the FlexTools Manager. Each of the functions can also be reached through the main menu bar.